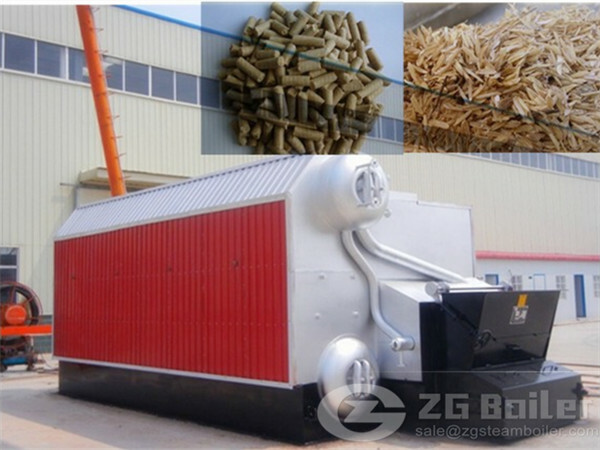 Biomass boiler is multi-functional types of biomass pyrolysis for the high-quality heat, replace coal, electricity, gas boiler auxiliary equipment and hot air drying equipment. Multi-fuel options: Burn various kinds of biomass raw materials or molding biomass particles ( Palm shell, wheat straw, rice straw, corn stalks, corn cobs, peanut shells, cotton stalks and etc. of the crop, as well as branches, leaves, bark, roots, wood chips, bamboo powder, sawdust and other leftovers of forest products, which are cheap and inexhaustible. c. Screw feeding, high temperature oxygen, automatic intelligent control for temperature, and water replenishing. One person is on duty, automatically operation. d. Vortex design, multilevel whirlwind increasing oxygen , make raw materials burn furthest ,the heating calve can up to 95%, the temperature can up to 800-1200°c . e. Saving 30-40% cost compared with fuel coal directly, can save >100000RMB every year, can save 50-70% cost compared with burning oil, gas directly, saving > 300000RMB every year .we have many biomass straw and forest waste around our country. ZG is a science and technology research and development, design and manufacture of high-tech environment protection boiler company. Our new biomass boiler use palm shell as fuel are technology in the international leading level. The palm boiler burns with no carbon, no waste water emissions, no pollution, fast heating, stop, play stove convenient, high calorific value utilization.